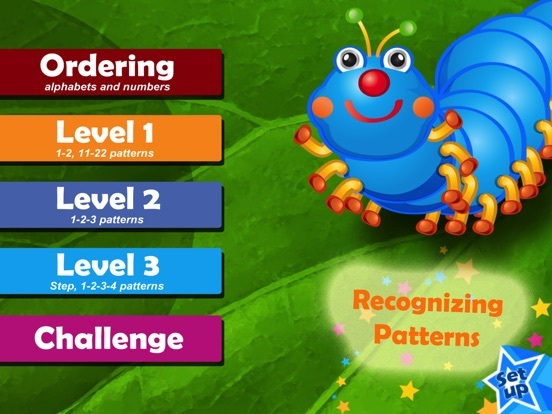 Moofy Recognizing Pattern is a great app for preschool, kindergarten to 1st grade children to practice ordering and patterning. 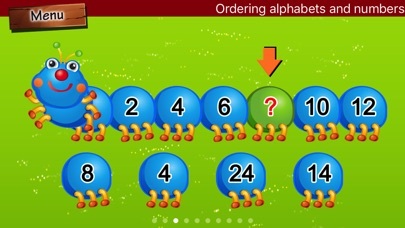 They will learn alphabetizing and ordering numbers, easy number patterns (i.e, count on to 20, even numbers, and count back from 10), and basic pattern sequences with pictures, colors and shapes (i.e, 1-2 or 11-22 patterns). 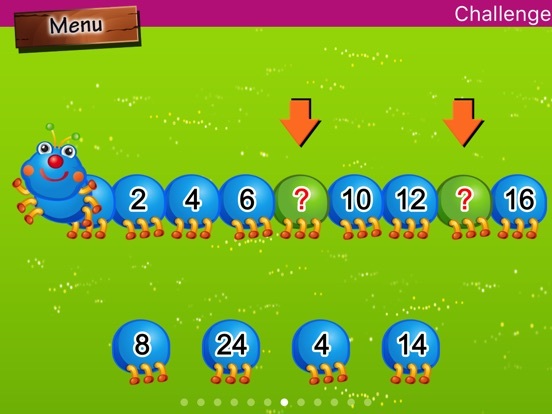 For advanced level, there are more challenging number patterns (i.e, count on to 100, count back from 20, count on to 100s by 10s, count on to 100s by 5s, odd number to 20, count by 3’s, 4’s, 6’s, 7’s, 8’s, 9’s) and advanced pattern sequences (i.e., 1-2-3 patterns, 1-2-3-4 and Step patterns), to help your child learn more about patterning. 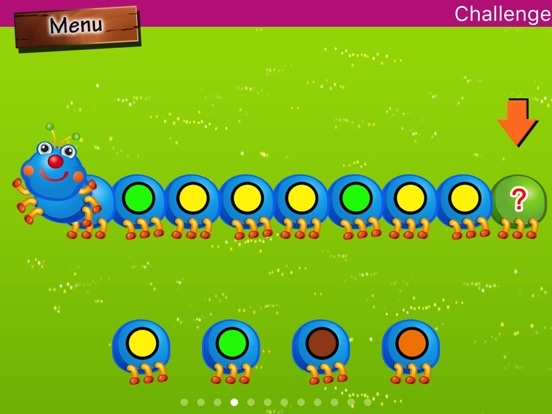 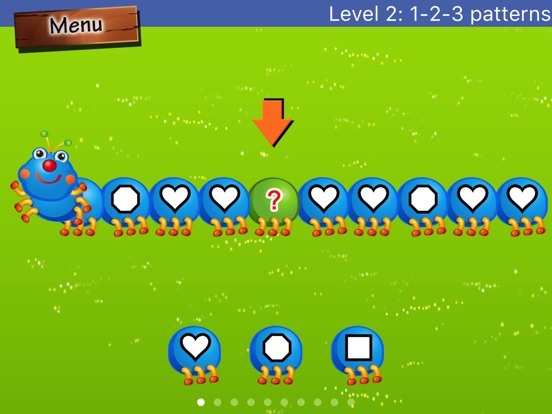 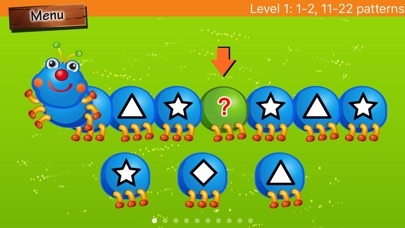 This game also provides hints and feedbacks to help kids think and understand how the patterns are. 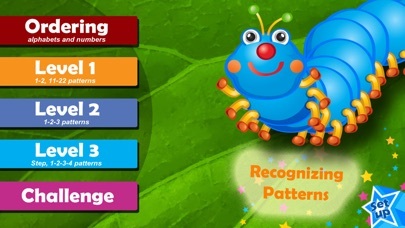 Moofy Recognizing Pattern also includes a progress report and setup options for a parent or teacher to control the level of difficulty and customize the number of questions to match your child. 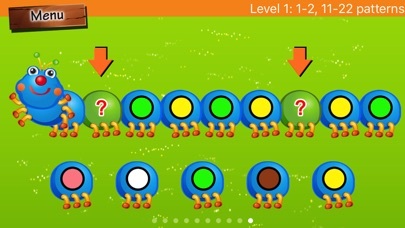 This is a great app to improve basic foundation of logical and strategy thinking. 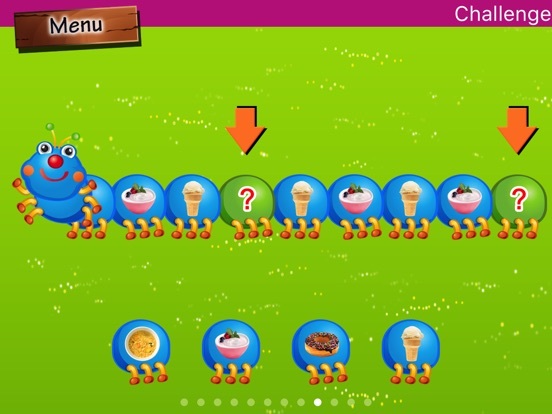 Your child will love this.